The first Holly Blue of the summer generation. This butterfly has two main larval foodplants: spring generation females lay their eggs on the buds of holly, whereas summer generation ones lay on the buds of Ivy. 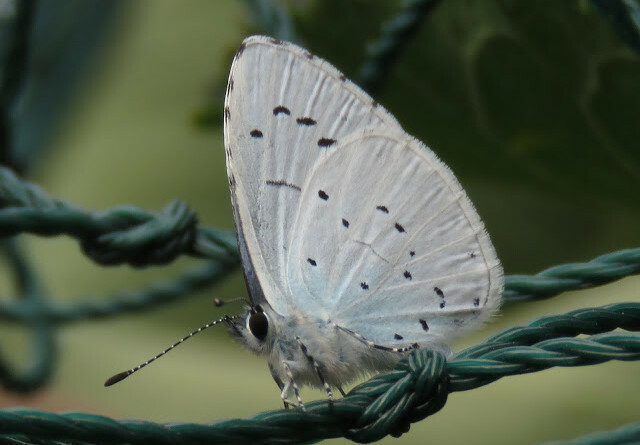 Unlike the other blues, the Holly blue tends to fly high near trees and bushes.